Fox News couldn’t resist delving into the sexual misconduct accusations swirling around NBC News anchor Tom Brokaw. On Thursday evening, “Fox News @ Night” anchor Shannon Bream revealed a curious nugget, telling network media guru Howard Kurtz that she was not surprised by the Brokaw story. “Being in this business and knowing plenty of other women in this business, I have heard other, similar allegations against Brokaw. So it will be interesting to see what comes of this,” she said. Bream dropped that little nugget after Kurtz offered a defense of sorts for the embattled NBC icon. 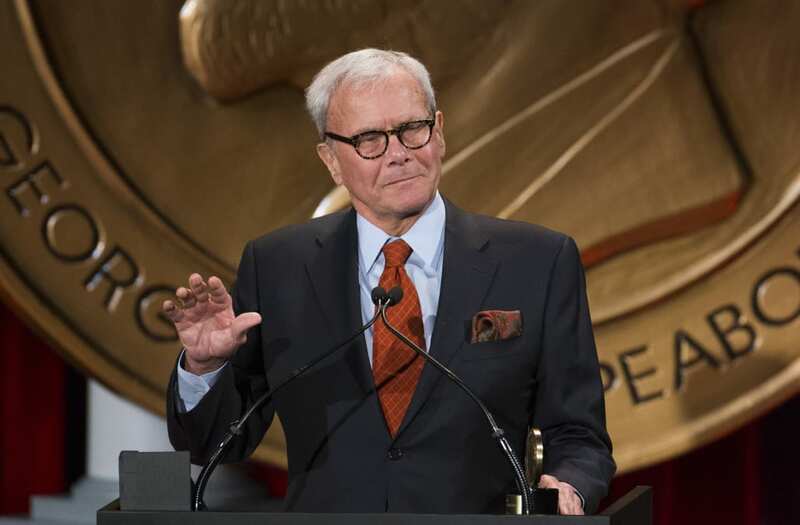 “I’ve covered most of Brokaw’s career at NBC. Very nice man. I’ve never heard a whisper or rumor about this sort of thing. Married to the same woman, Meredith, for more than 50 years,” said Kurtz. On Thursday, Variety and the Washington Post published an account each of the women who say that Brokaw engaged in sexually inappropriate behavior with them decades ago. The Variety account came from Linda Vester, who spoke on-record to the magazine in a lengthy video which accompanied their story. “I was groped and assaulted by Tom Brokaw, then the anchor of ‘NBC Nightly News,’ said Vester in the video, who alleged that Brokaw groped her, tried to kiss her on multiple occasions and showed up uninvited to her hotel room back in the 1990s. Friends of Vester’s told Variety that she had told them of the Brokaw behavior at the time and the journalist provided contemporaneous journal entries to the magazine to further corroborate her claims. For his part, Brokaw issued a categorical denial of Vester’s claim.